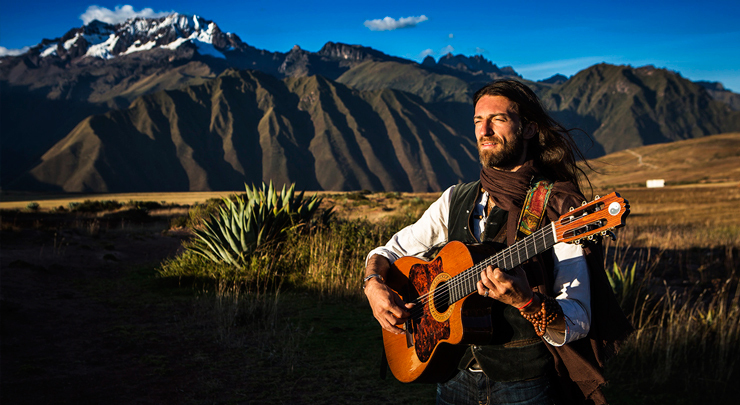 As a modern-day Troubadour Estas Tonne travels countless places and finds himself in several cultural references without identifying himself with a single nation or country, rather with the cultural richness of the world. His music is therefore a reflection of a classical structure, technique of Flamenco, roots of Gypsy, characteristics of Latin and Electronic Soundscapes. His Song of the Golden Dragon surpassed over 40 million views on Youtube. The upcoming tour, The Breath of Sound, reaches the followers of bold guitar music and unique art & culture, as well as spiritual wellbeing. Through his music Estas Tonne invites people to close their eyes, open their hearts and dive into a sacred space where one can experience music in the purest form.